HCM City (VNA) - The current technology era is creating both opportunities and challenges for businesses in the process of enhancing and managing resources, delegates told a seminar in Ho Chi Minh City last week. When technology supports organisational operations, it consequently begins replacing people in organisations. As a result, the importance of human resources management will be the top priority in any business strategy for companies worldwide, they said. Not only does it help increase efficiency, simplify and automate processes, technology also helps to gather necessary data in assessment and analyses, from which better decisions are drawn. Therefore, the HR management is considered vital to a business, and technology helps support management talent and leadership development. But retaining talent in technology has become more challenging. Nguyen Thi Bich Van, chairwoman of Unilever Vietnam, said that with so many changes brought about by technology, such as the open opportunity for work and personal development in a flat world, businesses are facing many “difficulties” in retaining talent. Creating an attractive environment to make employees think that "going to work" is less stressful has become one of the main focuses that enterprises need to implement, she said. Van said when applying technology, businesses need to consider cultural factors. 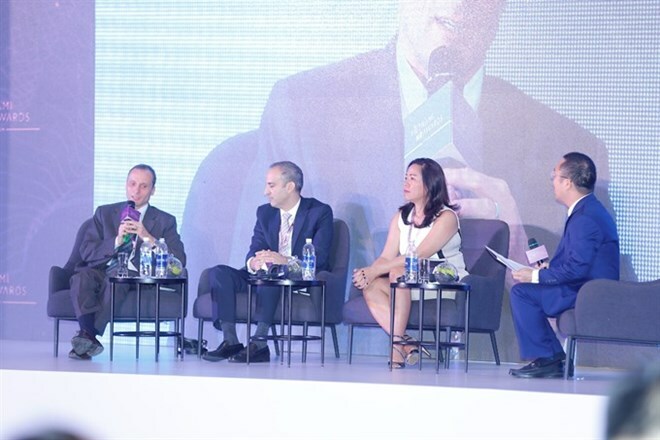 Derek Goldberg, managing director, Southeast Asia and Hong Kong at Aetna International, emphasised that many companies fall easily into technology “traps" rather than defining their own roadmap. Enterprises, when deciding to put technology into their resource development strategy, need to think of their desired results, then indentify which divisions need to apply technology, he said. In addition, businesses need to understand clearly their internal strengths and business strategies when applying technology in human resource management, and be more skillful and strategic in the course of applying technology so as to enhance working efficiency, process standardisation and internal communication while ensuring “talent retention,” delegates said. They need to prepare infrastructure that serves for assessing and analyzing the workforce more accurately and coherently while maintaining a collaborative, sharing environment, they said. Tieu Yen Trinh, CEO of Talentnet Corporation, "Technology improvement requires an increasing demand for a creative workforce with high EQ (Emotional Quotient), strategic thinking and analytical acumen. Hosted by Talentnet Corporation in association with the Labour and Social Affairs Newspaper, the seminar themed “Agile talent – Disruptive technology for growth” attracted more than 400 CEOs, business leaders and HR experts. At the event, Talentnet Corporation and Singapore Management University (SMU Academy) announced an official strategic partnership.